While fire investigators are the target audience for this course, it provides a good overall look at the influence of ventilation on fire behavior regardless of your interest in compartment fire behavior. The instructional presentation is particularly strong in its examination of building and environmental factors (e.g., wind and temperature differential effects), drawing heavily on Dr. Stefan Svensson’s text Fire Ventilation. While solid in its examination of influences on ventilation, this course fails to adequately address the influence of unplanned and tactical ventilation on fire behavior. The course outlines potential positive effects of tactical ventilation, but discussion of potential for ventilation induced extreme fire behavior is limited to a brief mention of potential for backdraft in ventilation controlled conditions. In addition, there was no discussion of the potential impact of incorrect tactical ventilation such as establishment of positive pressure with no outlet or inadequate outlet area or failure to coordinate tactical ventilation with fire control. These issues are of more immediate concern to firefighters than investigators, the potential influence on fire behavior (and subsequent investigation) may be significant. A more detailed discussion of fuel and ventilation controlled burning regime and the potential influence of ventilation under each of these conditions would be a useful addition. The use of multiple choice questions in the mid course and final assessment was generally effective in checking learner comprehension of the concepts presented. However, there were a few problems with the two assessment instruments. The mid-course assessment included one question addressing a topic covered in the second segment of the course. In the final assessment there were two true-false questions in which both answers are arguably correct (although it was fairly easy to discern which answer was “correct” based on course content. In addition, there were a number of questions in the final assessment that would accurately assess learner understanding if worded differently. 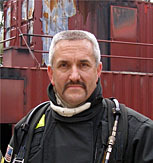 This is the first post in my Compartment Fire Behavior Blog. Several other CFBT-US Instructors and I will be posting on an ongoing basis to share our observations and continued learning about compartment fire behavior.